Israel Adventure Journeys Ltd. offers wine tours of Israel like no other. All of our tours are guided by licensed guides who are certified specialists in wine tourism. We will custom design your wine tour to meet your needs and interests, from a one-day tour to a weeklong adventure exploring the different wine regions of Israel. In addition, if this is your first visit to Israel, we can enhance your tour of Israel whether Christian, Jewish historical with a winery visit each day. Israel is an amazing destination for the wine enthusiast. While Israel is technically an Old World wine country, wine production almost disappeared during the centuries of Muslim rule. Commercial wine production in Israel, that exported wine all over the Mediterranean during the Roman Era, was only renewed in the late Nineteenth Century. 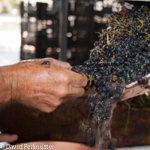 Quality wine production can be dated to the past thirty years following the leadership of the Golan Heights Winery. Today Israeli wine has achieved international recognition wining awards in international competitions, scoring high points by leading wine critics and making their way into menus of leading restaurants. Our fine wines are produced by medium and large commercial wineries as well as close to 250 boutique wineries. Our wine tours begin with the wine. In addition to showing off Israel’s fine wines, our tours may include meeting with the winemakers, vineyard tours and learning about the importance of wine in antiquity while seeing one of the thousands of ancient wine presses carved into the rock. If you’re new to wine our wine tours will educate you about wine production, wine grape varieties and introduce you to wines that you can either purchase for enjoyment during your tour or take home to share with your friends back home. If you are a wine enthusiast we can tailor your wine tour to your wine preferences and advise you on purchasing of cellar worthy wines to add to your collection. Transportation on all of Israeladventure’s tours is provided in vehicles specially licensed for tourism. Israeladventure has full professional liability insurance for your safety.